« Few things – New to me!! 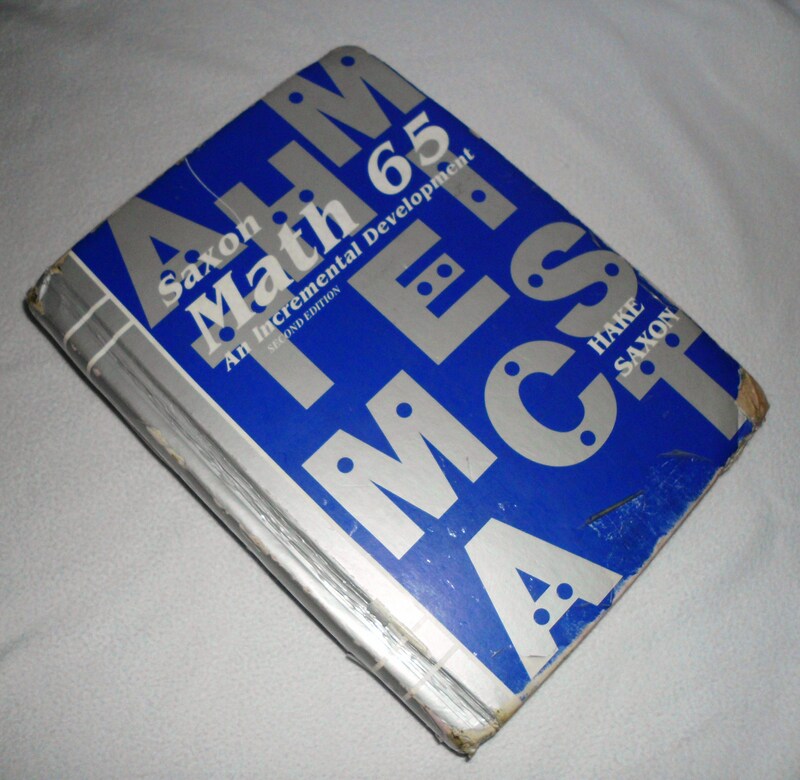 So my daughter tells me this distraught story about how her book for Math is all bent and really needs a cover. Well, try finding a cover right now in the middle of the school year, lol. So we just made one real quick. This was so simple to do. We took yardage of a cotton knit material I had on hand, but you could easily use a t- shirt that your child grew out of or that has a stain/rip in a place that wont show once you cut this out. 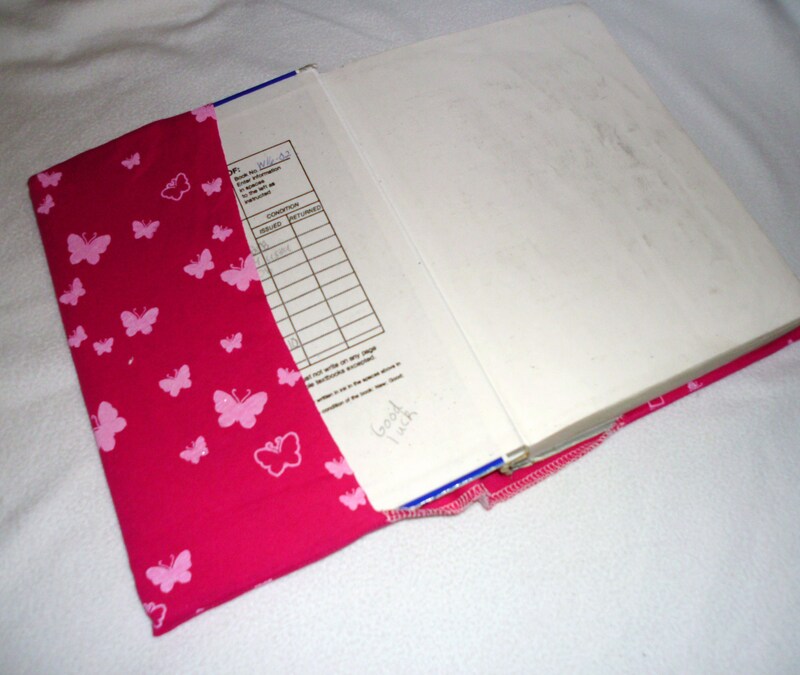 Just take your book and lay the front, back and the ream of the book completely flat. We rotary cut right next to the top/bottom edges with no seam allowances. Then add 4″ onto both ends and trim the ends. Fold the end over the front flap and mark the crease and do the same for the back but pull just slightly to stretch the material every so much to make the cover fit snug. Match the right sides together and serge or zigzag stitch along the top and bottom edges with the ends folded in at the creases. Reverse the ends to be right side out and install the book. With T Embroidered on it! 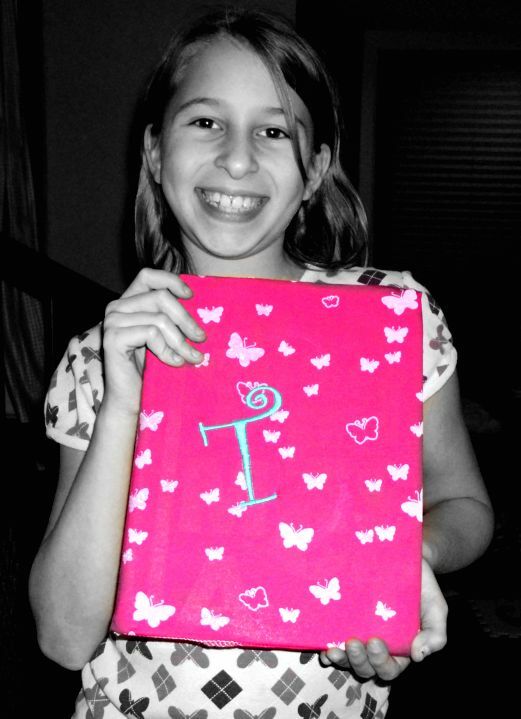 So there ya have it- A book cover that took about 50 cents and 5 minutes to make.. She was one happy camper!! 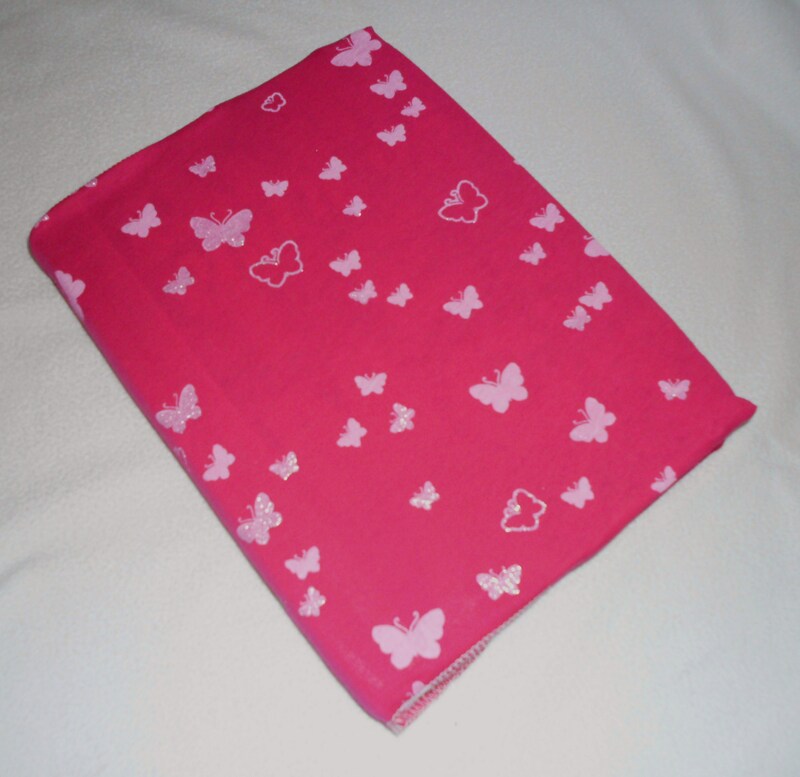 This entry was posted on January 6, 2011 at 7:41 pm and is filed under General, project, sewing. You can follow any responses to this entry through the RSS 2.0 feed. You can leave a response, or trackback from your own site.